Every one of us is familiar with the word ceiling. A ceiling is basically an overhead interior surface that covers the upper limits of a room or any given space. This is not considered a structural element but a finished surface concealing the under side of the roof structure or a floor of the storey above. So this is clear that ceiling is done to beautify our home interior. 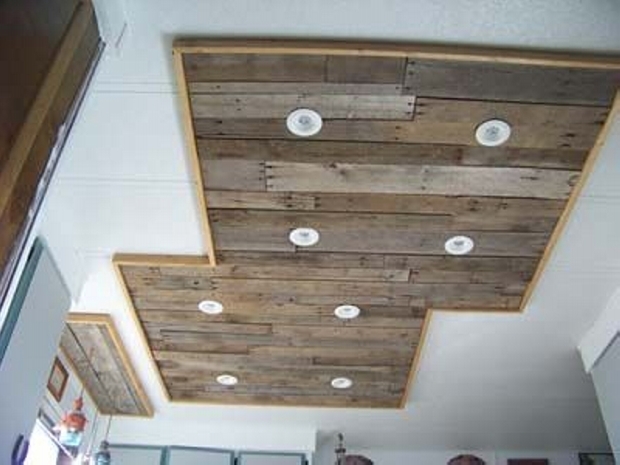 Today we would be discussing pallet ceiling ideas that are upcycled with the pallet wood as basic material. 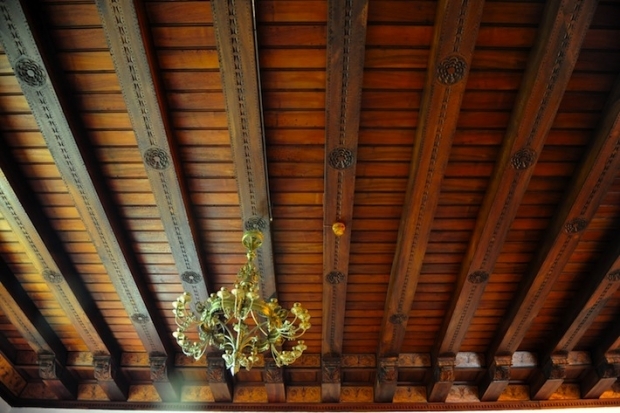 Here in the very first project, some raw wooden planks are used in ceiling of roof. 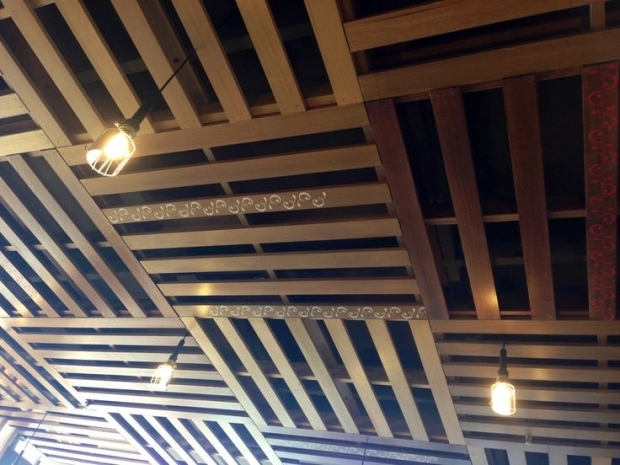 In the very next project of ours, we see again a bunch of raw wooden pallets is being used on the ceiling. A parallel design is drawn using wooden planks cut in size according to the measurements. They are in pretty raw form, only cut according to the measurements but they are left unstained nor varnished. Some fine sanding is done to enhance their rustic look. 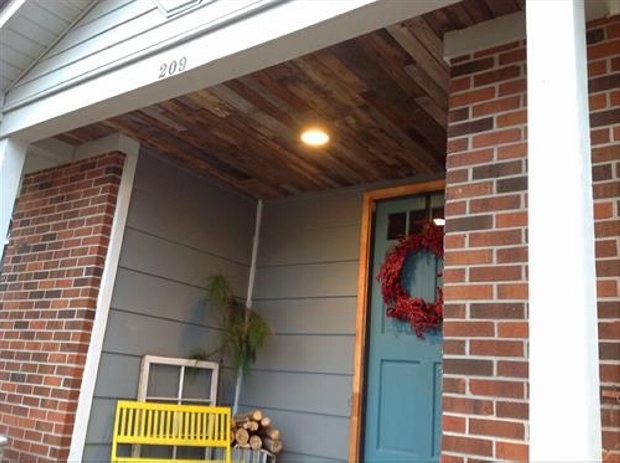 This is entirely recycled with the pallet wood making it pretty cost effective. Some built in spaces are spared in there for the installation of decorative light which would further enhance the look of ceiling. This is probably an official room where some educational and research stuff is done. So the atmosphere is enlightened by fixing the wooden pallet ceiling on the roof. 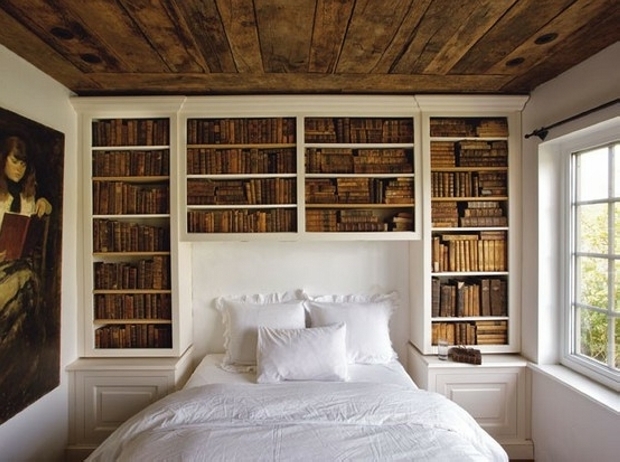 Once again raw pallet planks are used here in a very fine symmetrical manner. Two layers of wooden ceiling are being separated with a concrete slab making it more defined and precise. The ceiling has enhanced the beauty of the room by hundred times. This is reflecting quite an industrial look. At the same time it proved to be immensely cost friendly as the pallets were used entirely. 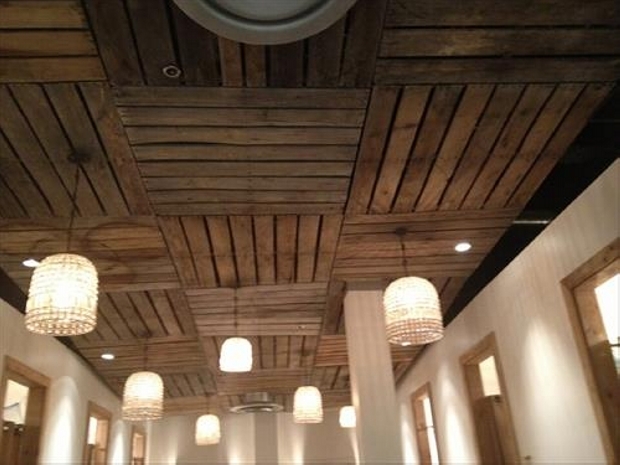 Switching towards the next project of the day, once again same raw pallet wooden planks are used in this ceiling. 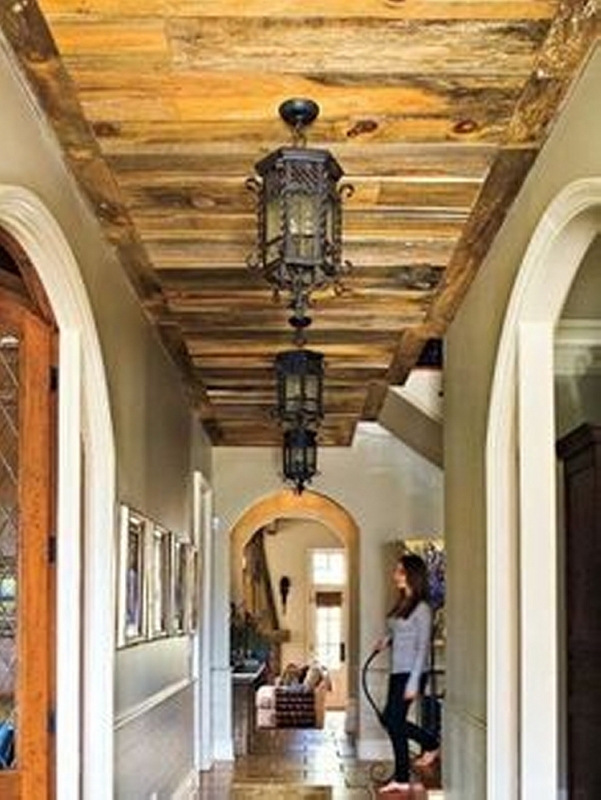 This is the corridor of some vintage rural western house where vintage look is completely dominating. It has also a couple of stylish vintage globes which has literally triggered the outlook of this roof ceiling. The paint is replaced by pallet ceiling as it was pretty obvious that it is going to cost even less than the paint expenses. If we compare it with the market based wood ceiling, it bears no comparison because that one is ruthlessly expensive and immediately drains out our wallet. 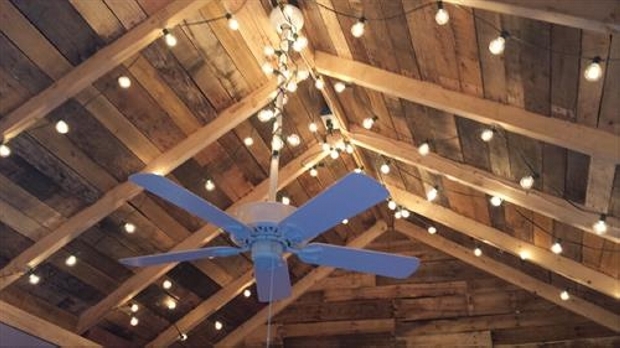 Well, this is slightly a different scenario of pallet wood ceiling where pallet wood is not only used in roof ceiling but also in making the accent wall that is quite similar to the ceiling in every perspective. Though the wooden planks are raw once again, but before the installation they are sanded very well and also varnished in a very perfect way. This has increased the rustic look of the pallets. 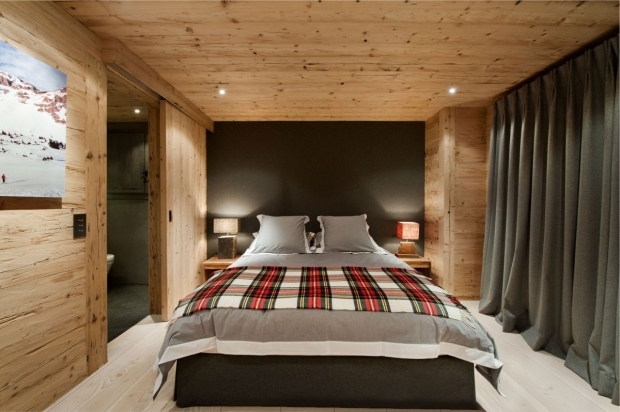 This is a master bedroom along with an attach washroom. The pallet wood ceiling is complimenting each and every accessory lying in this splendid room and even over shadowing it due to immense grace and sobriety. In the last project of the day, we observe the main entrance wooden door of a house. Once again the roof ceiling is done with the pallet wood. 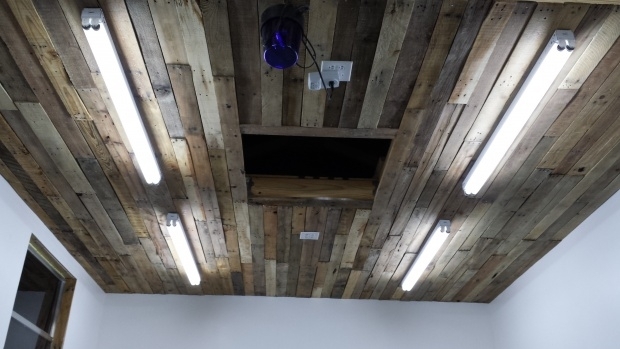 And right in the middle there is installed an Edison bulb that is enhancing the look and appearance of the pallet roof ceiling. This is not only a part of your home décor but also a fashion statement reflecting your sense of aesthetics and inclination towards art and décor. 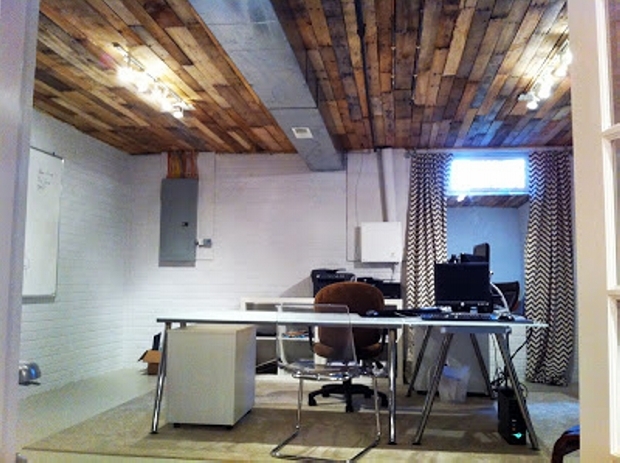 All the ceiling projects are done by upcycling the wooden pallets bearing minor expenses.